Specialised in the conservation of canvas paintings. 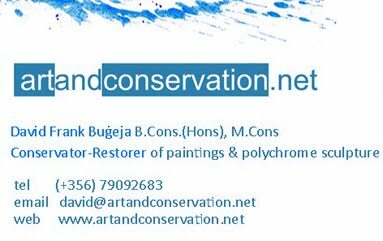 Also interested in preventive conservation and conservation physics. Other interests include painting,drawing and collecting minerals and fossils. This work is licensed under a Creative Commons Attribution-Noncommercial-No Derivative Works 2.5 Malta License.